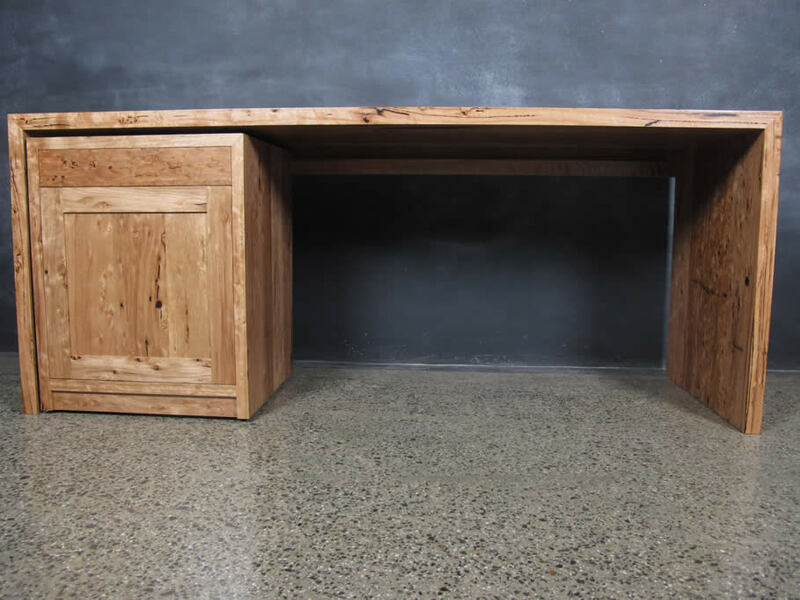 Designed specifically with the user in mind, this stunning desk is a beautiful addition to any office space. Mortice and tenon joints. 45 deg mitred edges featuring floating tenons & dovetail drawers. 3 x coats clear lacquer. Hand buffered wax. Printer drawer fitted with premium quality push release drawer runners. Cupboard fitted with fully adjustable, solid timber shelf fitted on brass pins. Single dovetail joined drawer fitted with push release drawer runners.